In a week when the Turkish government was attempting to show its reformist bona fides through an unambitious reform package (see here for Andrew Finkel’s excellent review of the package), a number of news items highlighted just how limited the reforms are. In the first, a play on words at the expense of the Prime Minister results in a writer being threatened with a dozen years in jail. In the second, the Turkish government responds to evidence of widespread police abuse with… an extension of police powers. Serbes had made a pun in a TV show by changing the prime minister’s middle name “Tayyip” to “Tazyik,” a word meaning pressurized water in reference to the police’s excessive use of water cannons and tear gas against protesters during the most recent May Day. The Istanbul 18th Criminal Court of Peace approved the indictment and commenced proceedings in the case, the report said. Journalists exposing human rights abuses and commenting critically on the actions of public officials are particularly at risk of prosecution [under defamation statutes]. Prosecutors typically initiate investigations following complaints by public officials, who later bring civil claims for damages in addition to seeking a criminal conviction. The Prime Minister in particular has brought a number of cases under this provision. The most distinctive feature of the draft package is that it authorizes the police, without permission from a prosecutor or court, to take people who may attend illegal demonstrations or cause a disturbance into custody for between 12-24 hours… The package, which is being drawn up between the Ministry of the Interior and the Ministry of Justice, is said to introduce heavier penalties for crimes such as resisting the police and damaging public property. Turkish authorities clearly have derived some lessons from the events of this past summer. Sadly, however, they have learned the wrong ones. 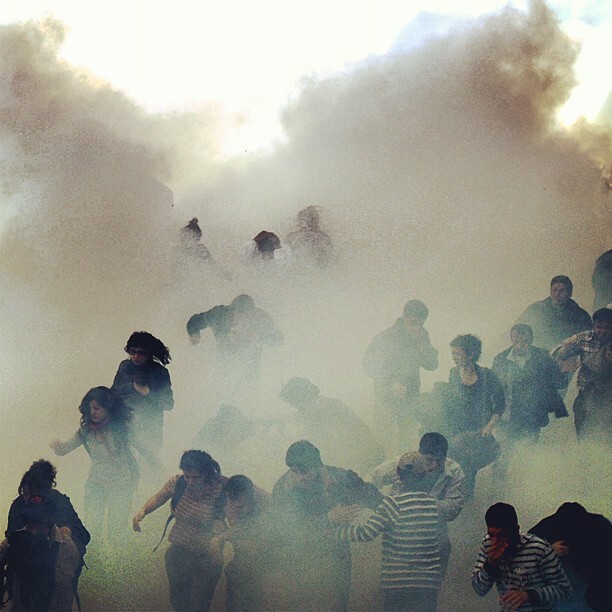 This entry was posted in Amnesty International, Excessive Force, Freedom of Assembly, Freedom of Expression, Turkey and tagged Defamation, Emrah Serbes, Freedom of Assembly, Freedom of Expression, Gezi Park, Tayyip Erdogan, Turkey. Bookmark the permalink.